During development and production of the Moovi, we focused on launching an inexpensive and durable product to the market that stands out from the crowd through simplicity and quality. As an e-scooter certified by TÜV-Germany, Moovi meets all safety and quality requirements of the European legal regulations. To show you all the advantages of Moovi, we have divided the components into four areas: chassis, motor, production and equipment. The electric, brushless 150W linear motor with state-of-the-art technology is not only quiet, economical and maintenance-free, but also delivers real power to the road. Modern workmanship and design of the motor guarantees maintenance-free use without rapid wear. Thanks to its patented lightweight construction, the motor is characterised by low power consumption even at high power levels. The latest KERS technology feeds the kinetic energy gained during braking and rolling back into the battery. 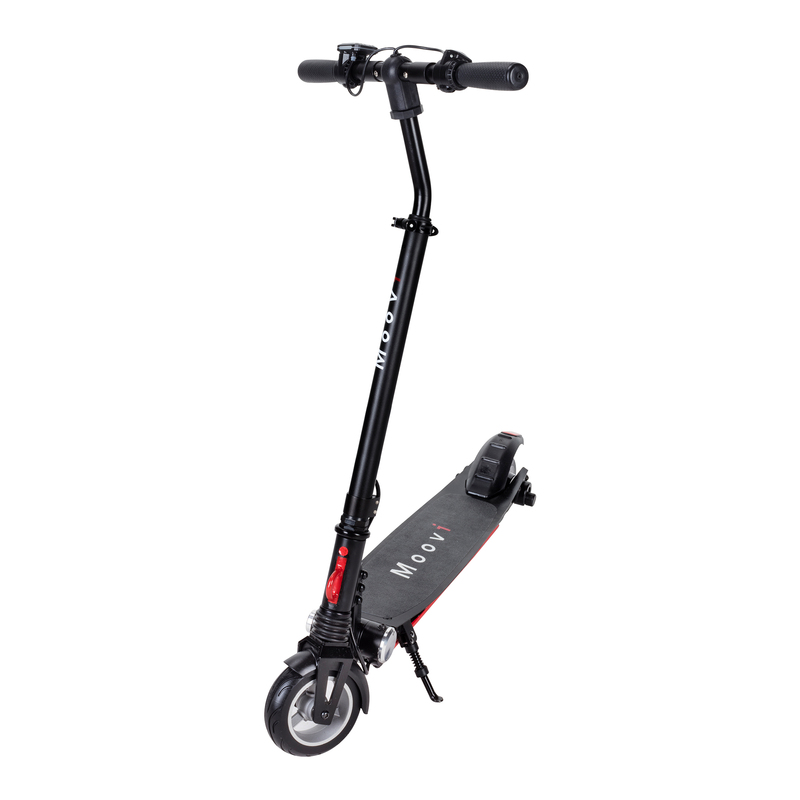 If Moovi is not electrically operated, it can also be used as an ordinary pedal scooter. Made of sturdy aluminium, Moovi is robust, durable and prepared for daily use. Equipped with LED lights, battery power a smart on-board computer, Moovi exceeds all the requirements of a modern e-scooter. 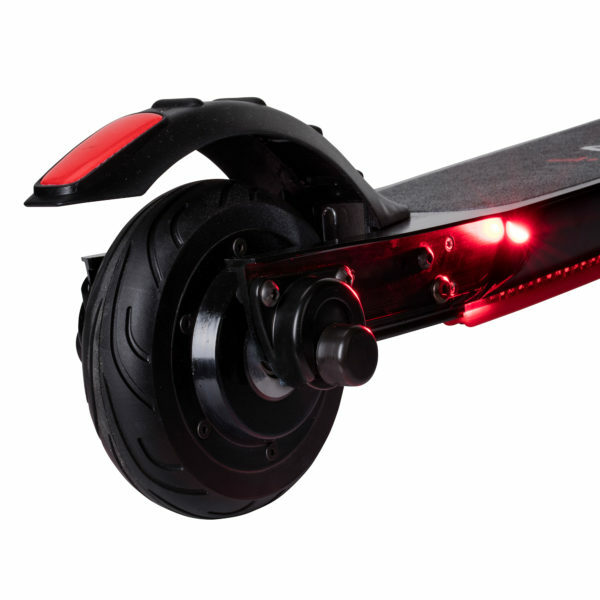 The LED lights are stylishly integrated into the frame for a bright front (white) and rear light (red). The illuminated multi-function display shows you speed, charge, gear or mileage at any time. The high-performance lithium-ion battery with 36V and 4.4 Ah (TÜV-Germany tested) allows distances of up to 20 km to be covered in one piece. The intelligent charger allows recharging at any time without memory effect. The composition of the chassis ensures a pleasant, comfortable and above all safe driving experience. The high-quality wheel bearing is characterised by extremely smooth running and precise handling. The double spring mechanism (front & rear) absorbs shocks and thus enables a very pleasant and comfortable suspension behavior. The electric motor brake at the push of a button or the manual brake via the rear wheel offer several braking options.